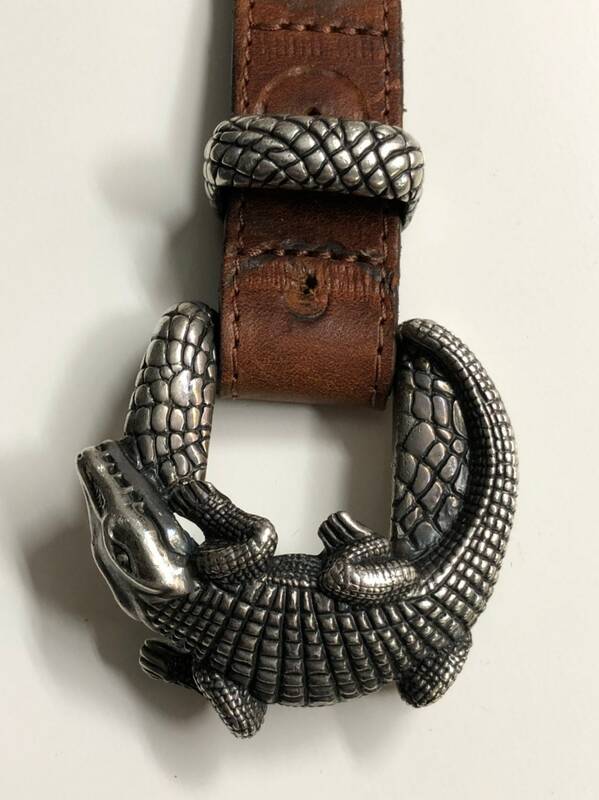 Assembled belt has a 1" Alligator buckle set by heralded silversmith, Jeff Deegan. 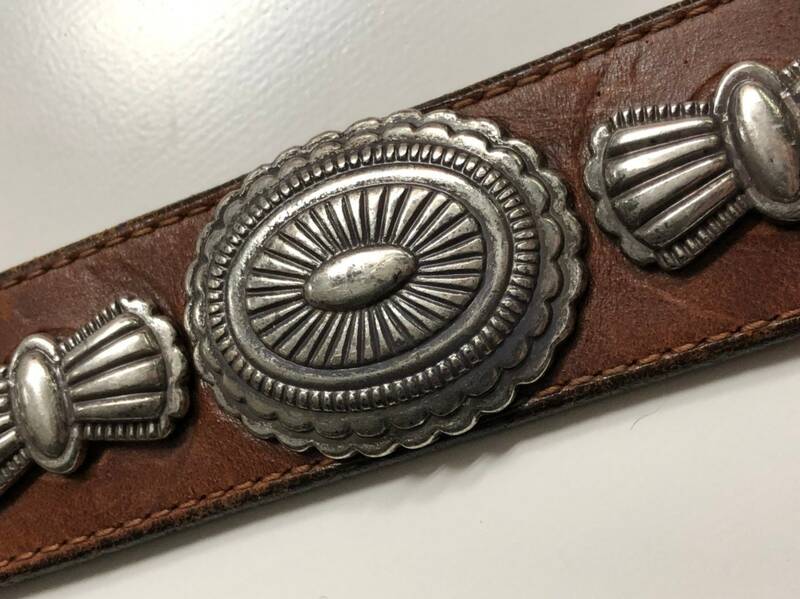 To this is paired a Southwestern concho and butterfly set on one incredible belt. 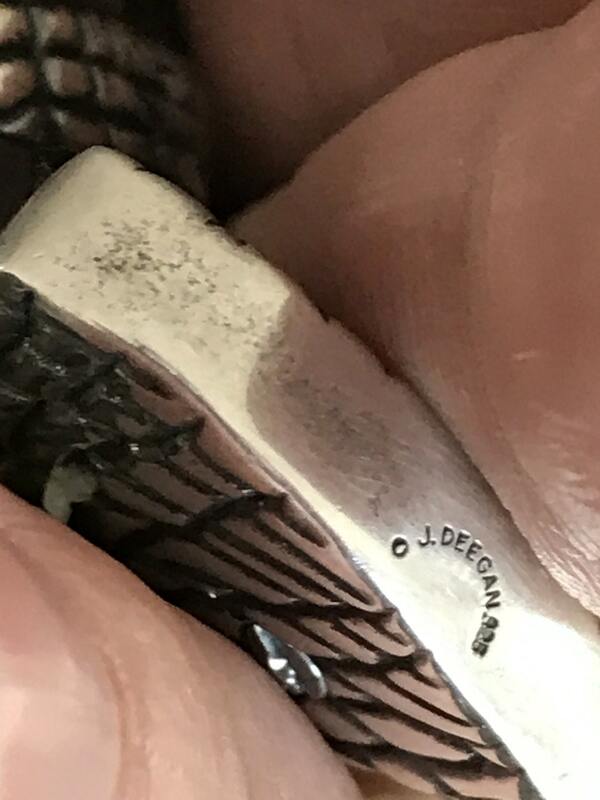 The signed Jeff Deegan set includes a signed buckle, keeper, and tip. 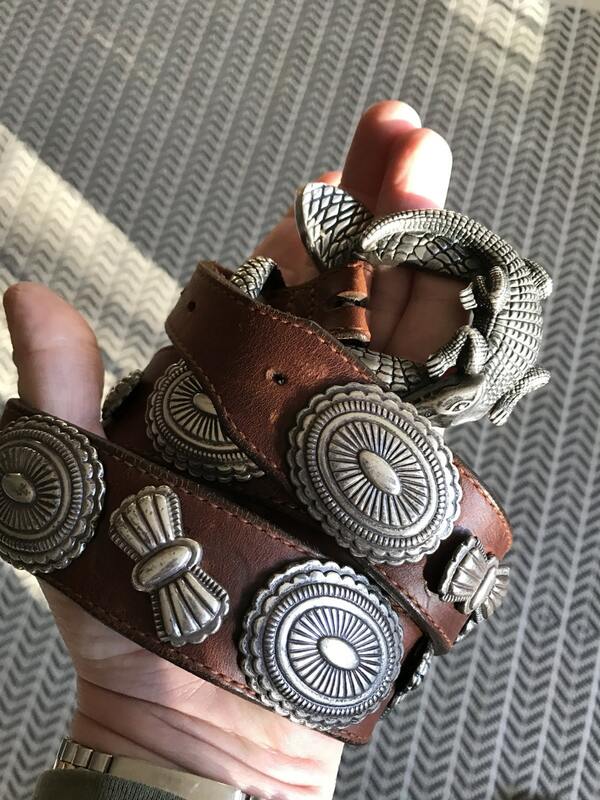 The unsigned 19 conchos include 9 traditional ovals (1.4" x 1.75") and 10 butterfly conchos (0.7" x 1.4") with rivet backs handmade in sterling silver (likely Navajo conchos). 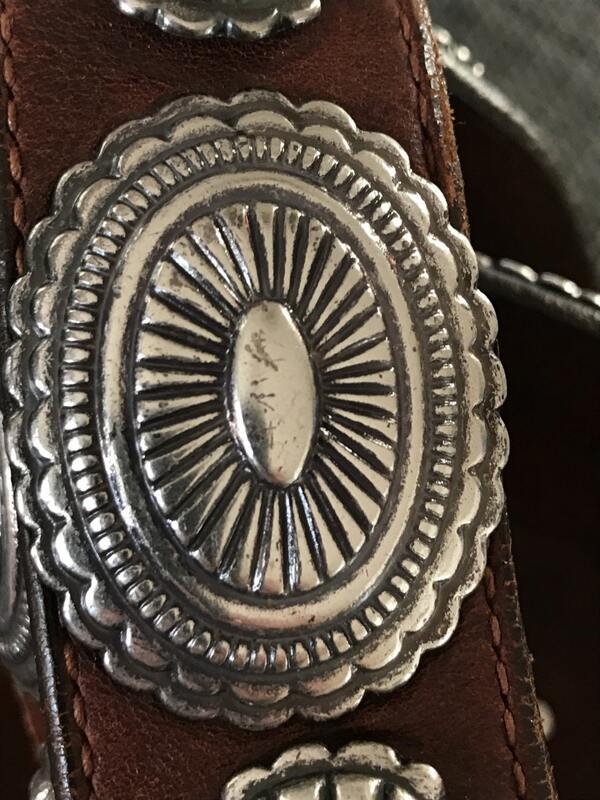 Two extra oval conchos included in sale to expand the belt. 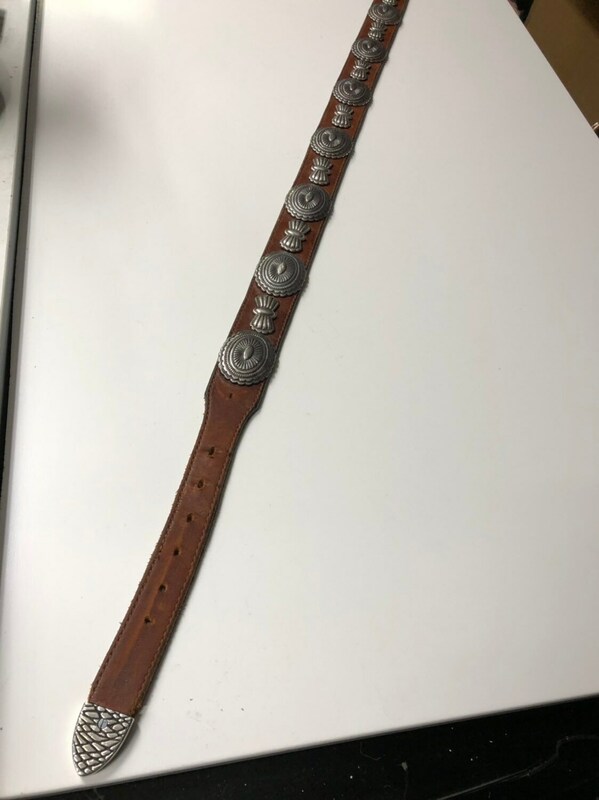 Belt has a total combined gram weight of 565 grams (including the light weight 1.4" tapered belt). 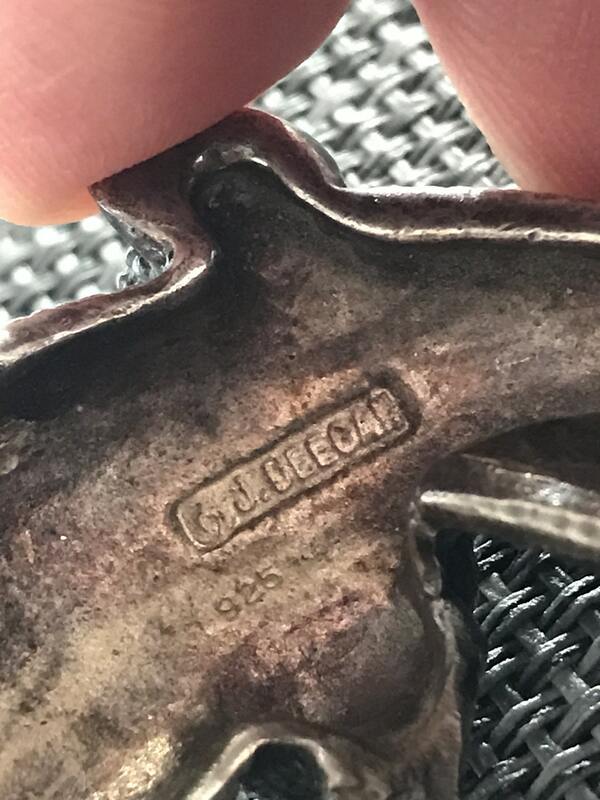 Buckle and tip are hallmarked: J Deegan and 925. This would be suitable for a wedding gift, graduation gift, anniversary present or other major event. 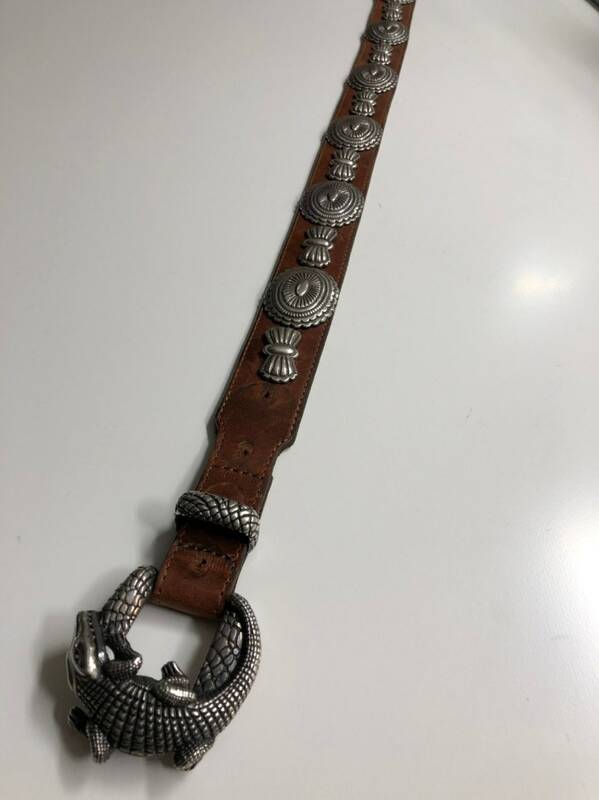 There's just nothing so alluring as a woman with a concho belt on her hips..
Let me know what size you need and I'll work to make the belt work for you. Currently about a 36-38, but we can customize it to fit you. 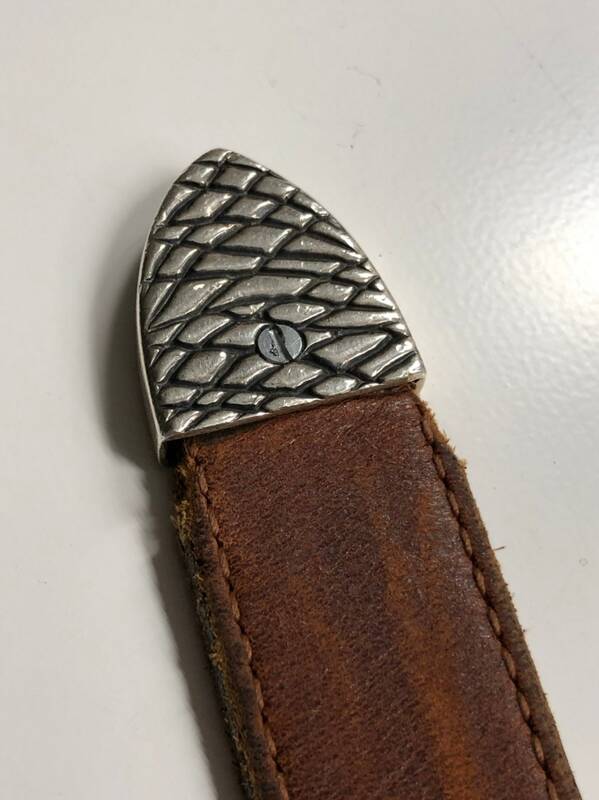 For example, I could send this out with a new leather strap in your choice of color and size-- lagniappe. 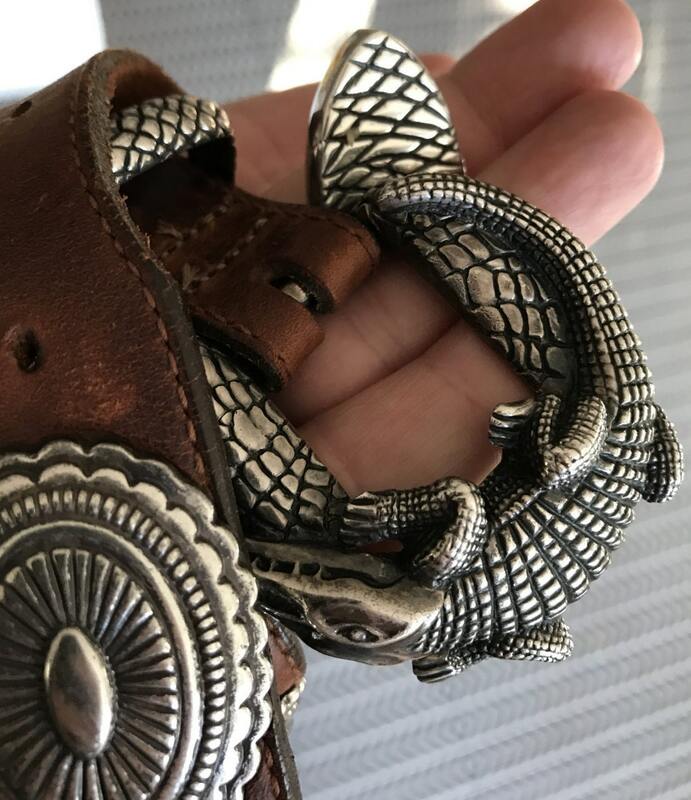 We could also separate this into two belts for the price of one.